I thought it was about time I shared something with you! 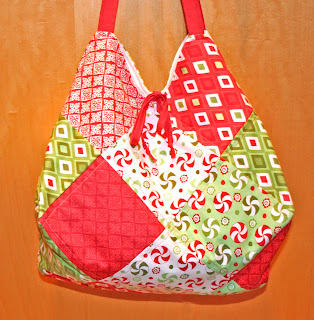 My husband and I have thought about me making my mother-in-law a Christmas themed purse/bag a few times. 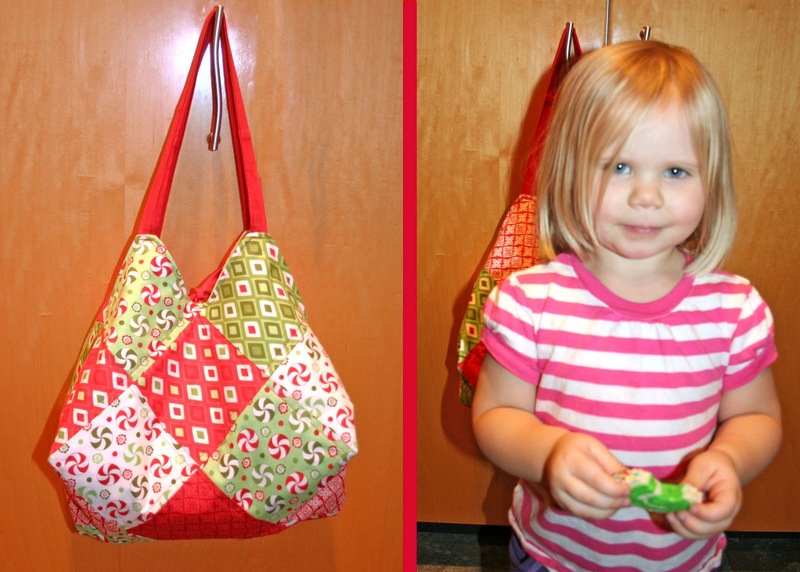 I was never quite sure what style of bag or what fabric to use. Every time I shop for fabric I look at the Christmas fabric and have never been inspired. Recently, I realized I had the perfect fabric already at home. If you recall, I bought myself Flurry by Kate Spain. Beautiful. I have some of my favourite's pulled aside for a Christmas wall hanging. I picked some of the other fantastic prints out of the collection and made the Madquilter's Charm Square Jewel Bag. 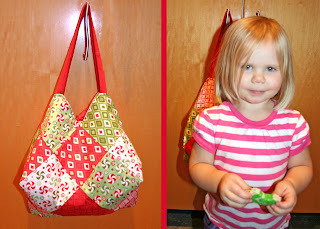 I made myself the same style of bag earlier this year. It seemed like the perfect fit for a collection of Christmas fabric. Just like last time I added a zippered pocket on the inside. The pocket makes the bag a little more versatile in my opinion. I would love to share more pictures with more angle of the bag, it is really a great shape, but alas I finished it just minutes before the party. My little shadow had to get in some pictures too! My mother-in-law's birthday is in December, I hope she is okay with a Christmasy gift!